‘Telecare’ is not found in dictionaries and, if it were, the definitions would probably be out of date. In Wikipedia it is still evolving. To complicate matters, ‘telecare’ is used quite differently in other contexts (see panel on right) and some people also use other terms for telecare, such as ‘electronic assistive technology’ and ‘preventative technology’. Telecare and telehealth can work in a complementary way: telecare sensors being triggered by a user if feeling unwell and the nature of the medical emergency being indicated by telehealth data. Part of the problem for anyone who wants to define telecare or telehealth is that equipment devices are an inseparable part of the systems that provide appropriate and timely responses to information from them. Telecare Aware is a news service about the technology, products, equipment and services (called telecare and telehealth) that help older and disabled people remain independent at home for longer. If you were looking for other meanings of ‘telecare’, such as the eTelecare telecoms company or the Catholic Telecare TV channel, click this link. If the subject of this site interests you, see ways to stay up to date, including via email alerts, Twitter and the RSS feed. These will save you from having to search the internet constantly yourself. This definition firmly associates it with ‘social’ or ‘lifestyle’ monitoring. However, there is a slowly emerging case – not currently supported by the editors of Telecare Aware – to use the term ‘telecare’ also as an overarching term for all types of care delivered at a distance, including health care. The above definition has appeared in a number of publications but its original source is unclear. To elaborate its meaning, devices range from those where the user presses a button that raises an alert at a control centre, such as a pendant alarm or medical alert/personal emergency response service (UK and US terminology respectively), to systems that monitor the person’s well-being, environment, or both, and which trigger – without, if necessary, the person’s conscious involvement – a warning that the well-being has deteriorated or that an untoward event has occurred. The interest (noted in the 2008 update to this article) in using mobile phone (cell phone) technology to enable such monitoring outside the home, including GPS tracking of the person, continues to grow but it is realised that the need for such devices to be carried, charged and switched on before they are able to be used creates three hurdles even before dealing with usability matters. Some systems give the person immediate feedback so that memory problems in particular can be accommodated and the person’s dignity and independence maintained. The following short video, produced a few years ago for the UK’s Department of Health, gives a good overview of telecare as it is seen in the UK, and its connections to social alarm systems – what, in the US, are called medical alerts, PERS, etc. 1) Systems that help predict problems: These systems depend on software that takes signals from sensors and analyses the frequency and severity of monitored events, such as minor falls and alert carers to visit the person to find out what has changed. Reports that trend and graph patterns in this data can be used by carers to help detect possible health conditions. For instance, sleep quality monitoring is being used to assist in care management issues such as medication and pain management. 2) Systems that reduce the chance of problems occurring: For example, a bed sensor can help prevent falls by activating a light when someone gets out of bed. This helps because the person does not need to reach for the light switch or move around in the dark. 3) Systems that mitigate harm: These devices, such as pendant alarms, heat sensors, smoke detectors or bed sensors – again – send alerts a call centre after a pre-determined event so that help can arrive quickly. The bed sensor, for example, can raise an alarm if the person does not return to bed within a predetermined time. An alternative approach is contained in the Alertacall Safety Confirmation system where, if a person fails to press a button by a certain time each day to confirm that they are OK, then an alert is raised. By getting help quickly, problems do not escalate. Clearly, some of the above shade into the health arena. To see what examples of the devices that connect to these systems look like, explore the interactive ‘telecare house‘ on the website of UK device manufacturer, Tynetec. Telemedicine as a term has been in use for a long time and is therefore better defined. The following, by the World Health Organisation, is simple and clear. Telemedicine is still largely doctor-to-doctor (including hospital-to-hospital) and typically involves consultations with specialists at a distance, with the patient being examined or otherwise somewhere in the system. However, recent developments, particularly in the US, involve doctor-to-patient remote consultations facilitated through secure networks or Skype. There are also other branches of medical ‘tele-s’ such as teleradiology, telepathology and telepsychiatry. You can see from the heading that the terminology usage in this area is even more varied. 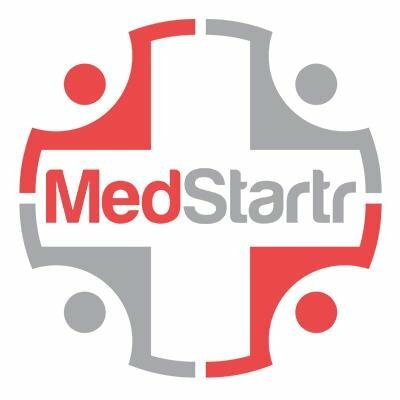 For the purpose of this page we are focusing on telehealth as remote patient monitioring. Do be aware, however, that when you read ‘telehealth’ in other places, the authors may be talking about all sorts of things, including health advice-giving phone systems and websites and, in some cases, even telemedicine. In the opinion of the editors of Telecare Aware it will also be a pity if, as telehealth technology gains a firmer foothold, the term ‘telecare’ becomes further confused by continued application in the telehealth arena. The following definition of telehealth monitoring from 2003 is one of the best, although it now needs extending from being home-based to include people on the move being monitored by mobile phone technology. It is from Telecare: Using Information and Communication Technology to Support Independent Living by Older, Disabled and Vulnerable People July 2003 Curry RG, Trejo Tinoco M, Wardle D.
Since the publication in 2012 of the first results from the Whole System Demonstrator (WSD) programme – a large randomised control trial conducted in the UK – the business case for health services to introduce telehealth monitoring is being debated. These WSD results seem to indicate that, as measured by quality-adjusted life years (QALY – Wikipedia), the cost of telehealth systems outweigh the benefits to society. However, many commentators and system suppliers maintain that the costs monitored in the WSD were considerably higher than would be obtainable in practice and that people were in the trial for too short a time to achieve the maximum benefit. Both of these factors would affect the cost per QALY. What is the future direction? 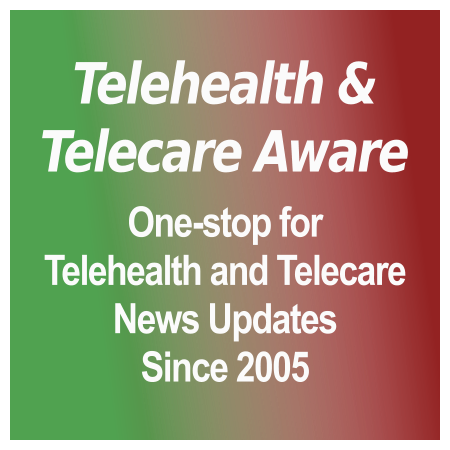 Although it is easy to predict that telecare and telehealth technologies will merge, and although the clients and patients they benefit are often one and the same individuals, we believe that it is still useful — at this stage of technological and linguistic evolution — to maintain a difference between the terms ‘telecare’ and ‘telehealth’. In addition, early results from the WSD may indicate that the assumption that people need both technologies may not be true. This needs further investigation. However, just as people want entertainment, not necessarily a TV, some people also need a service that helps them to stay independent, with dignity. The technology should only be one means to that end. For a more in-depth consideration of these matters, look into the ‘Terminology Campaign’ section of the site and/or read this briefing paper which includes comments on the definition in the UK Government’s Department of Health document Building Telecare in England, and some examples of the use of the terminology in the United States.